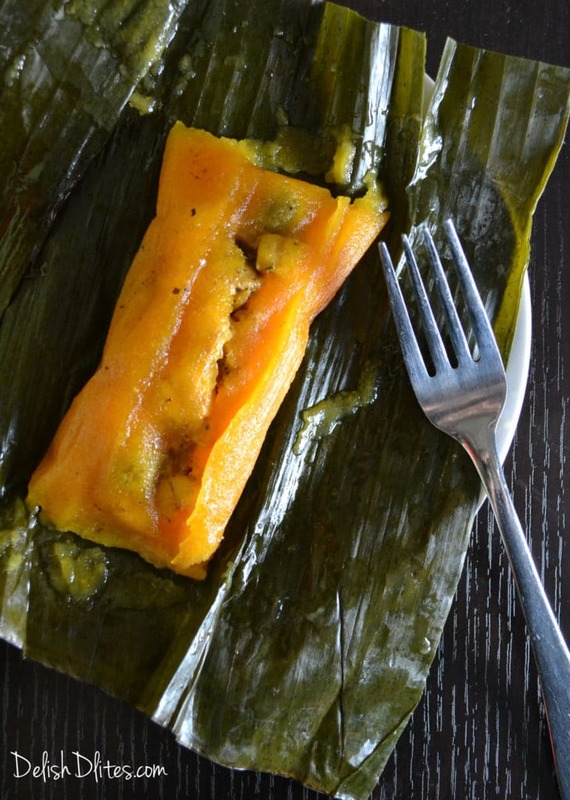 An authentic recipe for Puerto Rican pasteles de yuca! 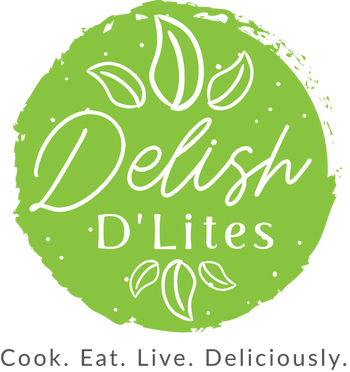 Your friend and family will love them! 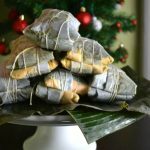 Making pasteles is an annual ritual in my household that symbolizes the start of the holiday season. 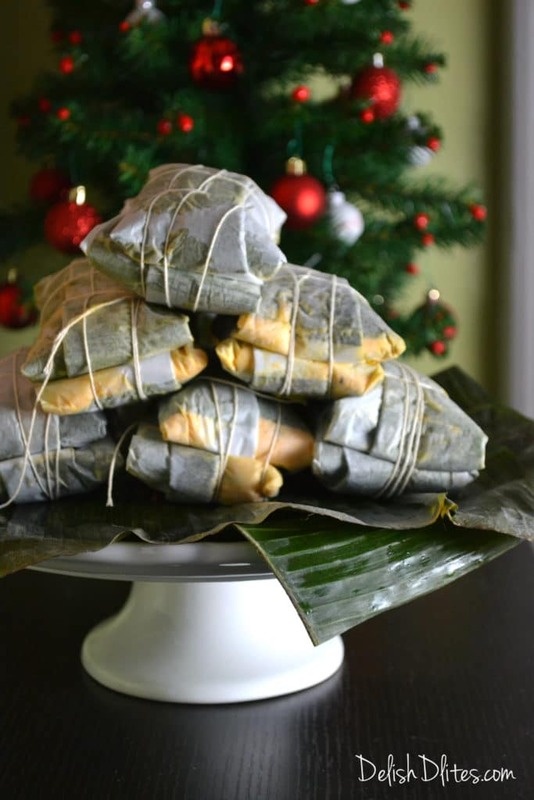 Pasteles are quite a labor intensive endeavor, but your efforts will definitely be rewarded. 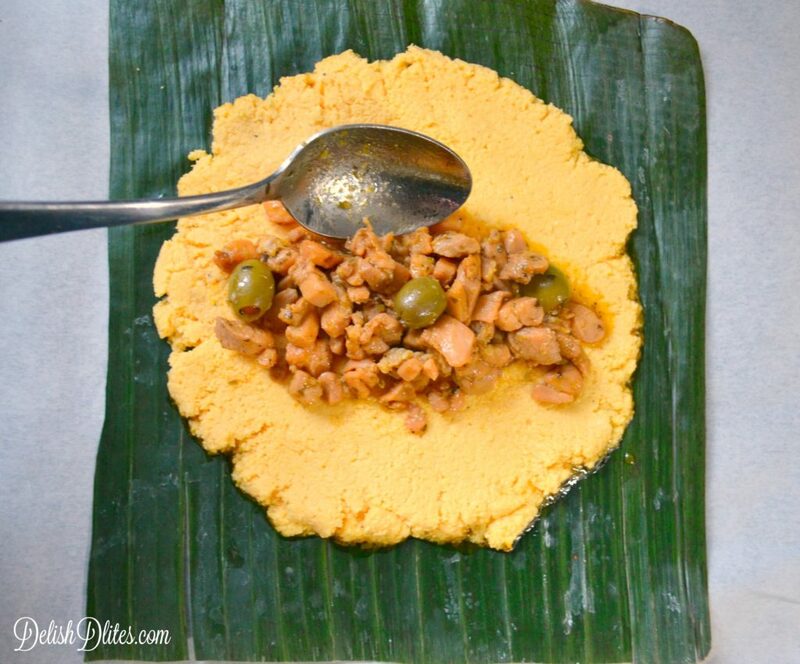 Puerto Rican pasteles de yuca are made from grated taro root (also known as yucca/cassava/manioc). These banana leaf wrapped pockets are typically filled with rich, savory stewed pork or chicken. 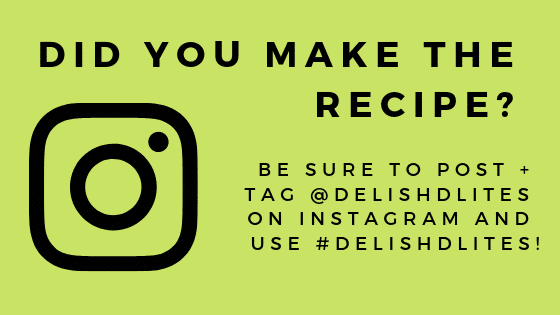 Each family has their own secret recipe, so I’m privileged to share mine with all of you! Choose a day when you have lots of free time, and hopefully a few friends or family members close by. 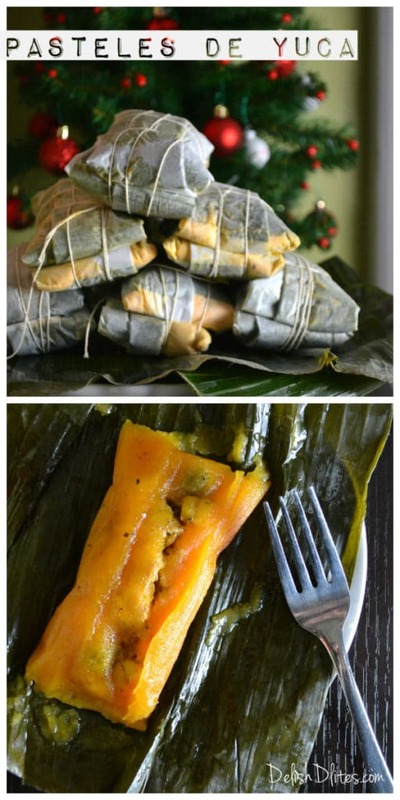 Making pasteles is a great way to spend a few hours bonding with your loved ones. 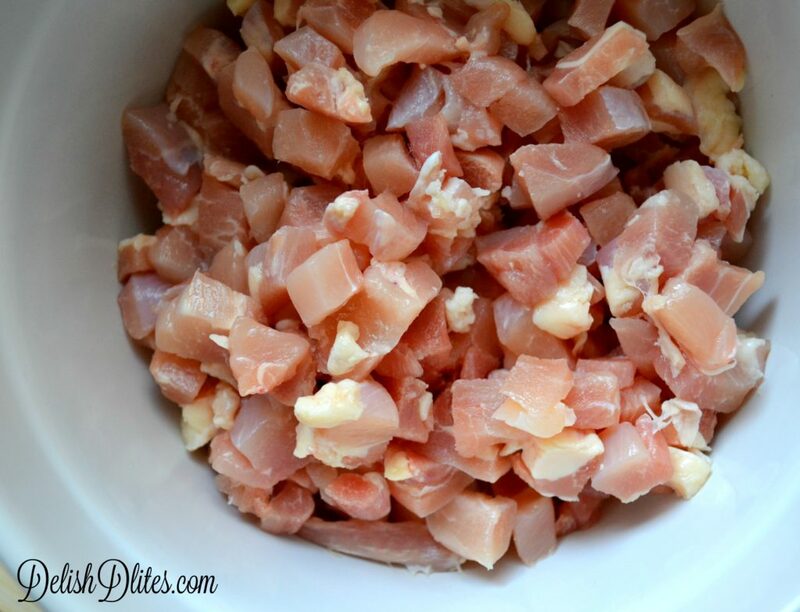 Chop the chicken or pork into small cubes, about one inch in size. Season the meat with adobo, sazon, garlic powder, and Italian seasoning. Drizzle one teaspoon of olive oil over the meat, then stir up the mixture to get everything well coated with the spices. 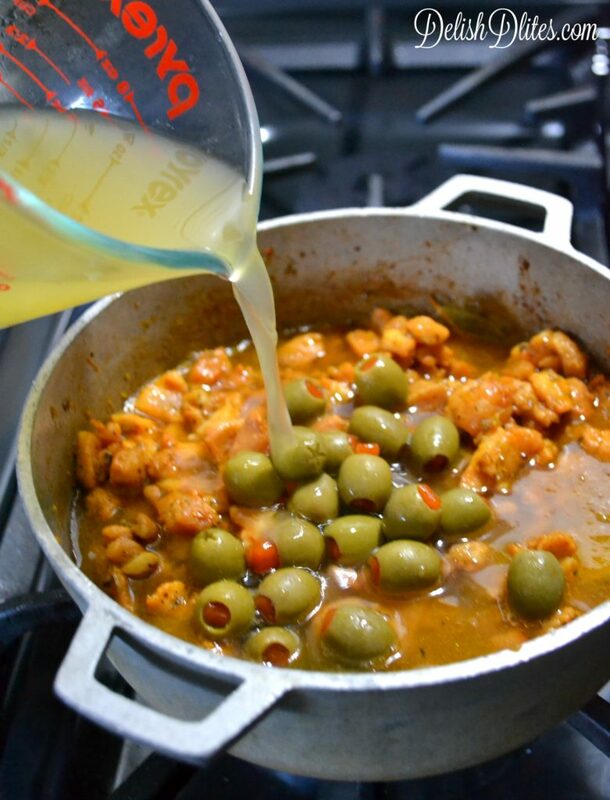 Add the remaining two teaspoons of olive oil to a sauce pan, and heat to medium heat. Once the oil is warm, add in the sofrito and stir for 30 seconds. Add the meat, bay leaves and tomato paste. Stir the mixture to combine. Next, add in the olives, chicken bouillon cube and chicken broth. Bring the pot to a boil, then reduce to a simmer, cover and cook for one hour. While that cooks, let’s make the masa. 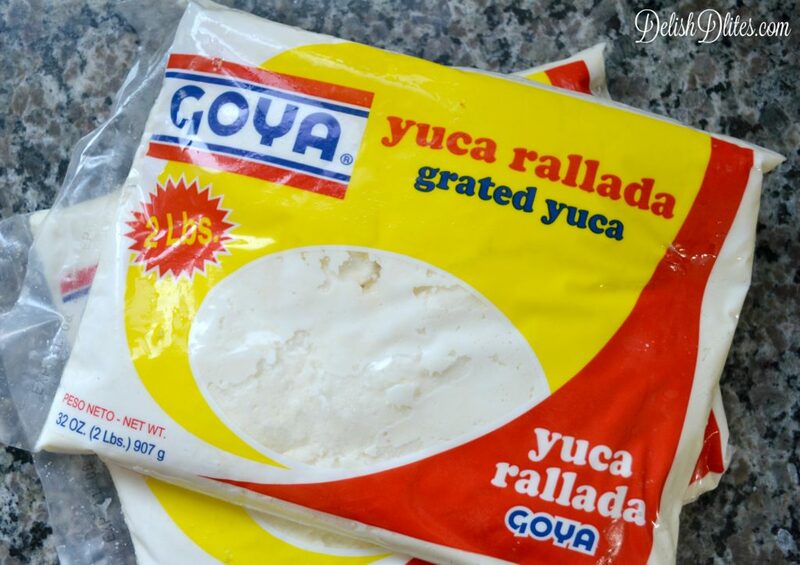 If you’re lucky enough like me to live near an ethnic/Latino supermarket, you’ll be able to find grated yuca in the freezer section. This saves lots of time and energy, as raw taro/yuca is a tough root vegetable that required several steps to prepare for this dish. This is my awesome shortcut to making these recipe much more user-friendly. You’ll want to thaw the frozen grated yuca overnight in the fridge, so plan ahead. Traditionally, pasteles use achiote oil for coloring. This oil is made by boiling whole achoite (annatto) seeds in oil until the oil turns a vibrant red color. 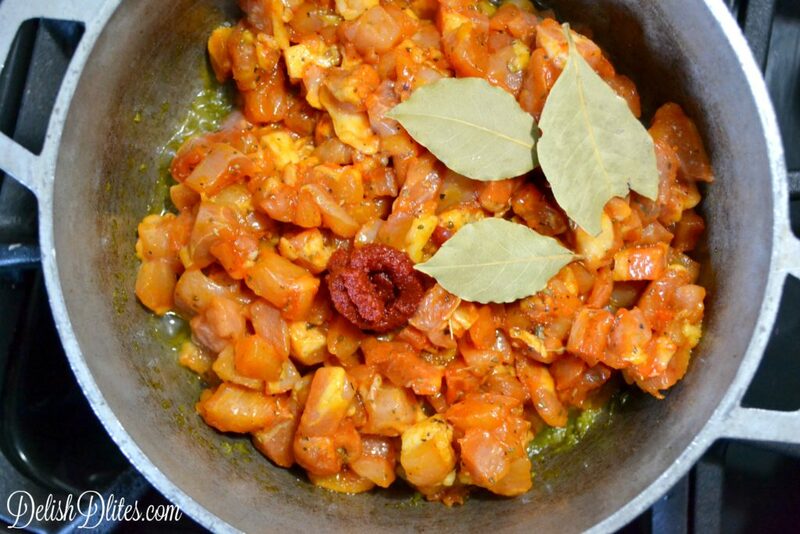 Since I rarely use achiote seeds on their own, I substitute by dissolving two packets of sazon seasoning in 2 tablespoons of canola oil. 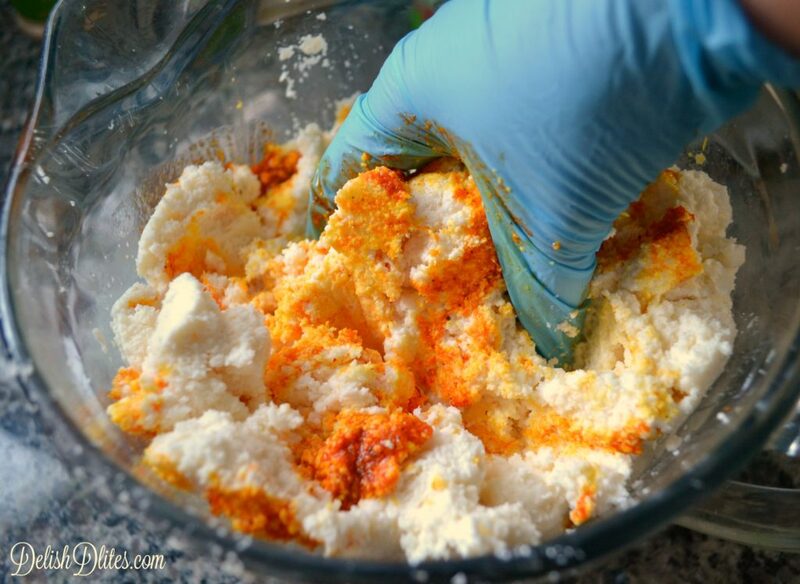 The sazon contains powdered achiote plus other spices, so it’s giving color and flavor to the masa, all in one. 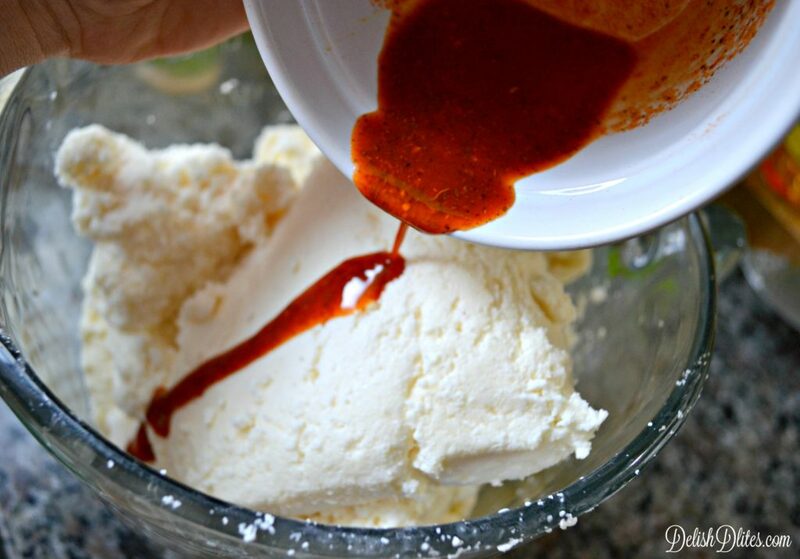 Mix the achiote/sazon oil into the masa thoroughly. 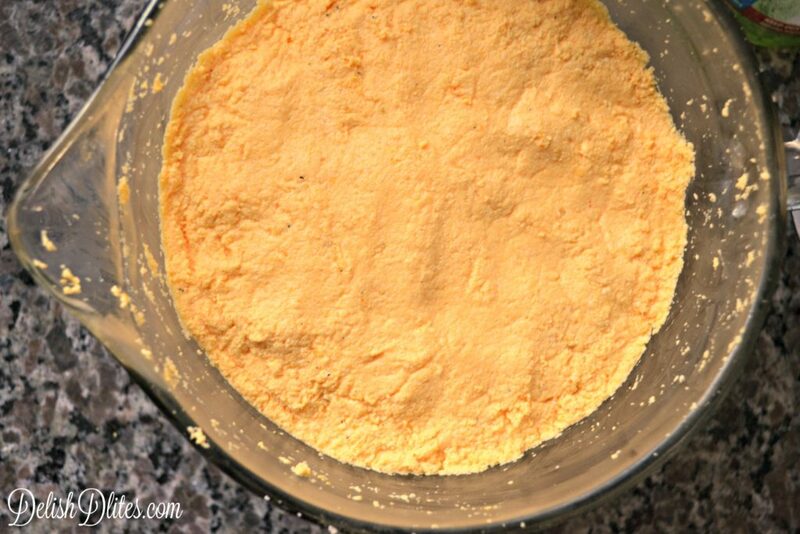 Now, let’s get ready to assemble the pasteles de yuca. You’ll need parchment paper, banana leaves, and butcher’s twine. 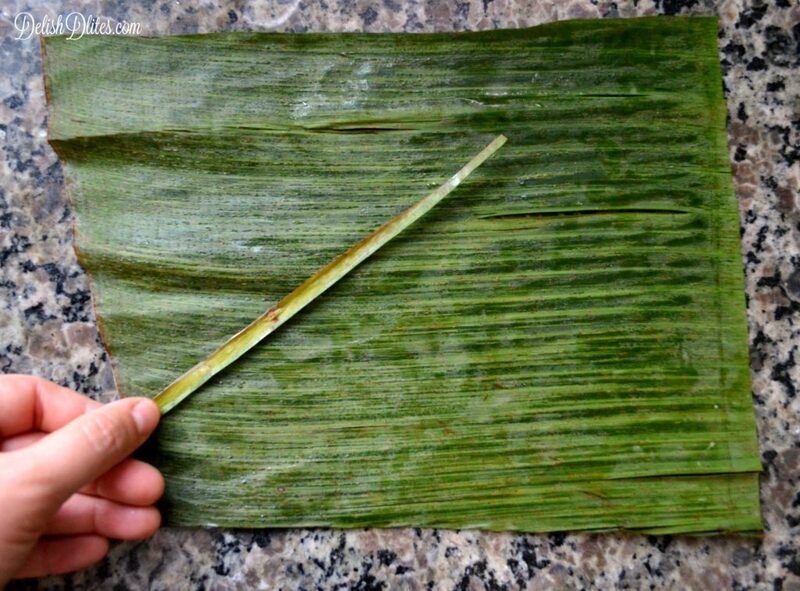 Cut your banana leaves into about 8-9 inches in length. Remove the hard rib located on one side of the leaf. Cut your parchment paper into 12 inch squares. 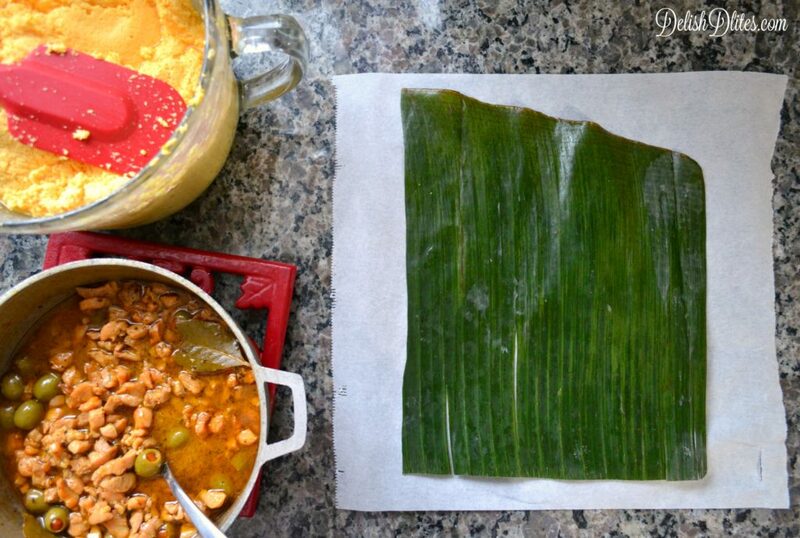 To build the pasteles, smear about 1 tablespoon of liquid from the stewed meat onto the banana leaf. Then, spread 1/2 cup of masa into the middle of the banana leaf. Place 1/4 cup of filling into the center of the masa, making sure to drain any excess liquid. 1. Fold the top of the parchment over towards you, so that the ends meet. 2. 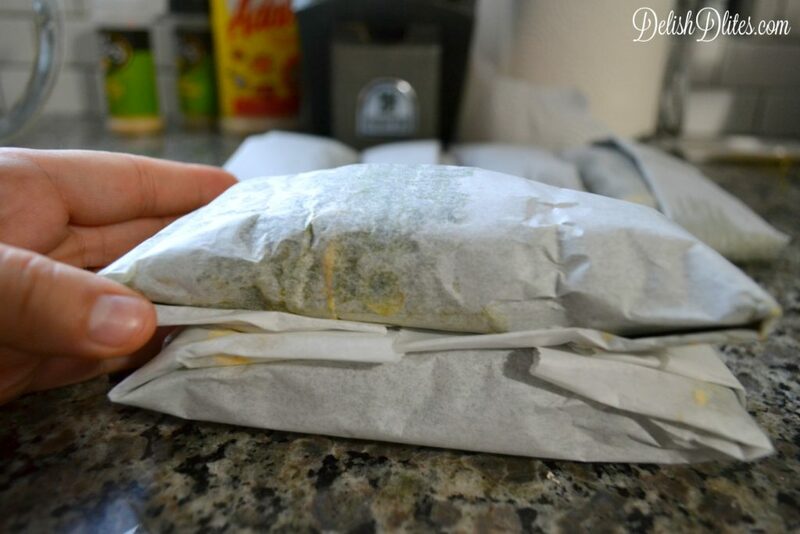 Using your hand, tuck the filling into the center. 3. 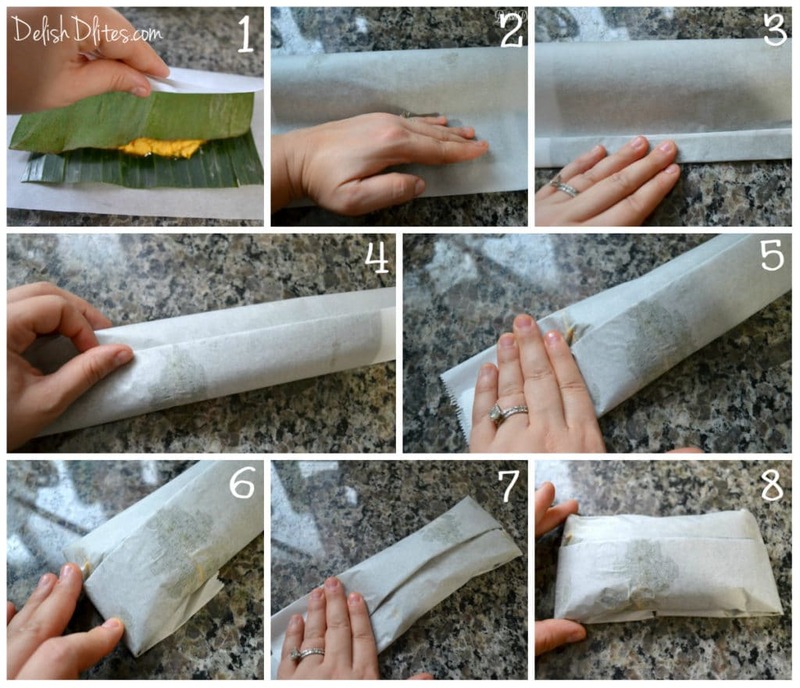 Make a one inch fold at the bottom of the parchment, then make another. 4. Rotate to bring the folded seam to the center. 5. Tuck the filling in at one end. 6. Fold the end under. 7. Tuck again on the other side. 8. Fold the other side under. Stack two pasteles together, with the tucked ends facing inwards. Tie the pasteles de yuca together using butchers twine. You’re now ready to store or cook the pasteles de yuca. 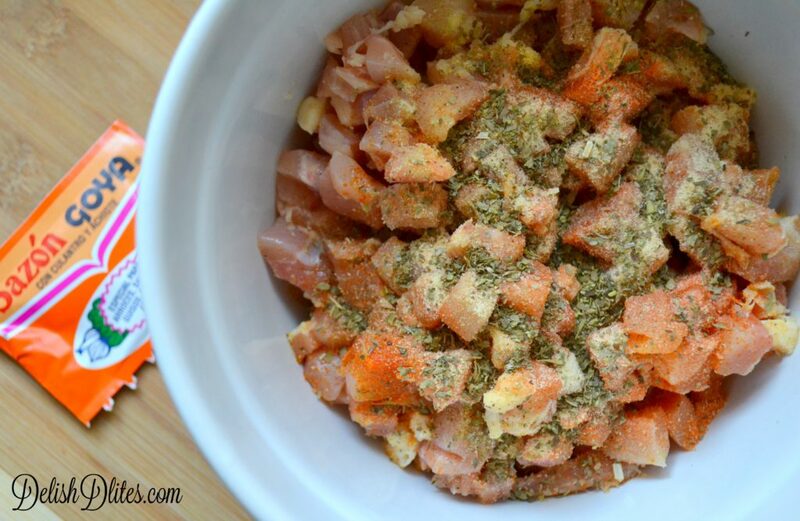 If storing, place them in a gallon sized freezer bag and freeze for up to 6 months. If cooking them, bring a pot of salted water to a boil, then boil for 45 minutes to an hour. If you’re cooking them from a frozen state, cook for 75-90 minutes. Drain them, cut the string, and unwrap to enjoy. A classic Puerto Rican holiday dish, this is an alternate version of the more traditional pastel that features a mix of root vegetables. Cube up the chicken or pork until small cubes, about one inch in size. 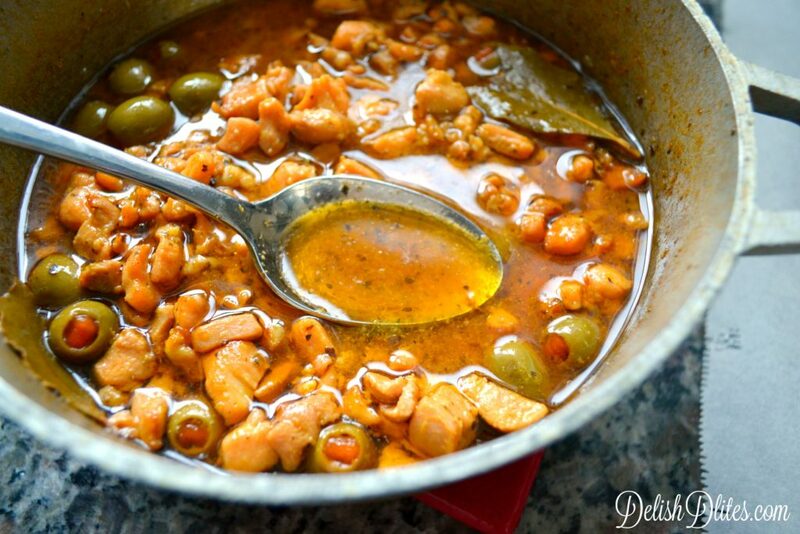 Add in the olives, chicken bouillon cube and chicken broth. Mix the sazon oil into the masa thoroughly. 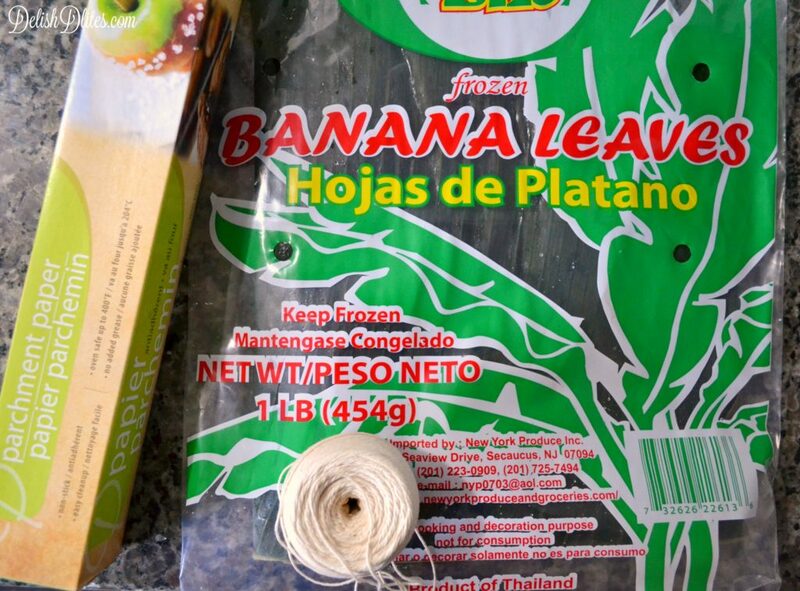 Cut the banana leaves into about 8-9 inches in length. Remove the hard rib located on one side of the leaf. Cut the parchment paper into 12 inch squares. Fold into parcels. Stack two pasteles together, with the tucked ends facing inwards. 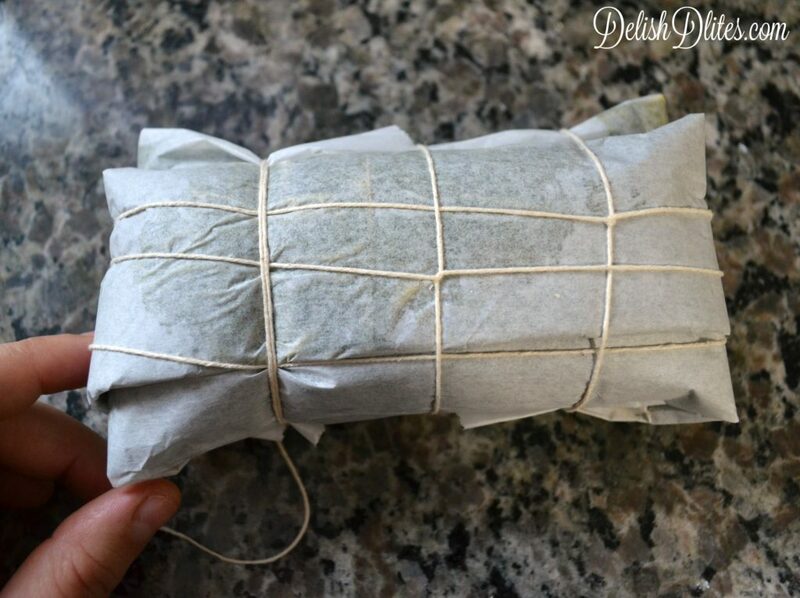 Tie the pasteles together using butchers twine. If storing, place them in a gallon sized freezer bag and freeze for up to 6 months. If cooking them, bring a pot of salted water to a boil, then boil for 45 minutes to an hour. If you're cooking them from a frozen state, cook for 75-90 minutes. Drain the cooked pasteles de yuca, cut the strings, and unwrap to enjoy. Serve hot.